What kind of peace do I mean and what kind of a peace do we seek? Not a Pax Americana enforced on the world by American weapons of war, not the peace of the grave or the security of the slave. 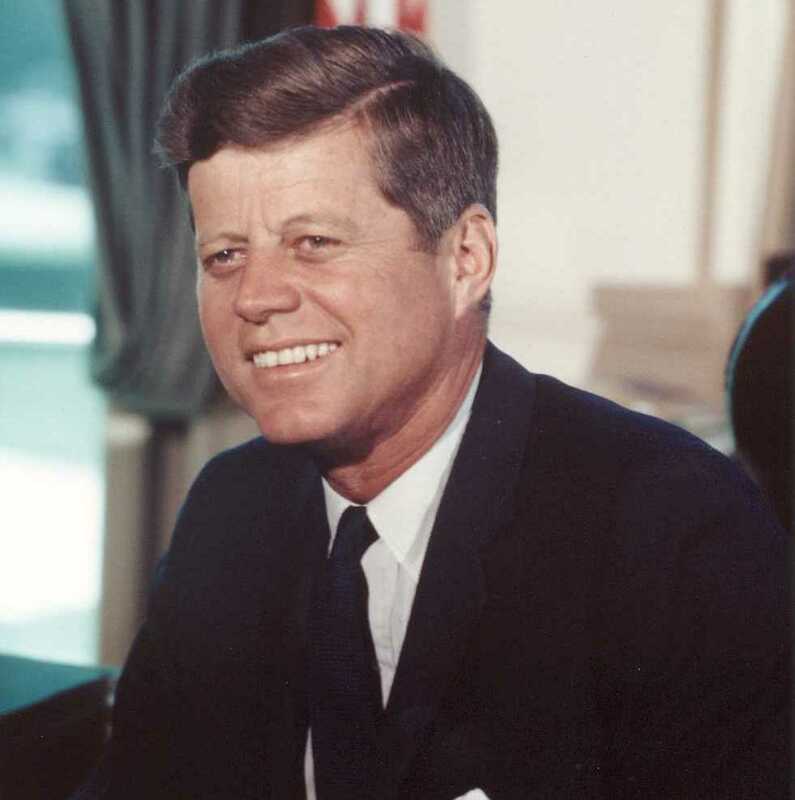 I am talking about genuine peace — the kind of peace that makes life on earth worth living — and the kind that enables men and nations to grow and to hope and build a better life for their children — not merely peace for Americans but peace for all men and women — not merely peace in our time but peace in all time. I speak of peace, therefore, as the necessary rational end of rational men. I realize the pursuit of peace is not as dramatic as the pursuit of war — and frequently the words of the pursuers fall on deaf ears. But we have no more urgent task. Examine our attitude towards peace itself. Too many of us think it is impossible. Too many think it is unreal. But that is a dangerous, defeatist belief. It leads to the conclusion that war is inevitable — that mankind is doomed — that we are gripped by forces we cannot control. We need not accept that view. Our problems are man-made. Therefore, they can be solved by man. And man can be as big as he wants. No problem of human destiny is beyond human beings. Man’s reason and spirit have often solved the seemingly unsolvable — and we believe they can do it again. For, in the final analysis, our most basic common link is that we all inhabit this small planet. We all breathe the same air. We all cherish our children’s futures. And we are all mortal. This entry was posted in economics, mission/vision, outrage!, philosophy, police state, politics, social concerns, surveillance. Bookmark the permalink. if we don’t change course it appears we might end up where we’re headed!